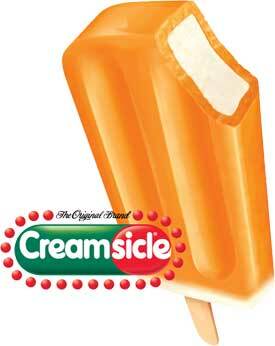 I love creamsicles. For those of you who aren't familiar (WTF), they're an orange popsicle with a magical creamy center. And they're DELICIOUS. Whenever there's a makeup product called creamsicle I always want to buy it (case in point - Revlon Lip Butter in Creamsicle) because it makes me happy. But inevitably I always want these items to also smell like a creamsicle. And yet the cycle continues. It's madness.